May 1821, a time fifteen year old Alex Cummings will never forget. The Marquis Dominique von Marsan and his family are on their way to secure contracts with local cotton farmers. Alex’s dad is one of the biggest cotton farmers in Alabama, and it will be Alex’s responsibility to watch over Marquis Dominique’s twelve year old daughter Soleil during their fathers business visit. Of course Alex is not too happy about babysitting a girl and he would rather be hunting or fishing, that is until he set his eyes on the beautiful Soleil. Alex is taken by Soleil’s caramel skin tone, and blue-green eyes. Time spent between the two over the years horseback riding, enjoying nature, and getting to know each other, also growing to enjoy each others company. Alex answers questions and explain to Soleil, who being from France doesn’t understand the reference to people of African descent being called Colored, and why Coloreds are slaves. Fast forward to Soleil’s sixteenth birthday. Soleil is kidnapped and sold into slavery. For four years she has been missing until she escapes. I have never heard of this author, but I am a lover of historical reads, so I figured I would give this book a try. I have to say that the author is descriptive, and has a beautiful use of words. A novel based in this time in history can be very sensitive, and I have to say I found the beginning to be inviting. The story jumps right into the plot and I do admit I found myself caught up in the life of Alex and Soleil and wanted them to have a happy ending. They discovered each other, played games of question and answers, explored and learned beyond the color lines. I think and felt their love was destined to be, even though during this historical time their relationship would not have been accepted. Their story did have oppositions from those thought to be trusted, Soleil suffered abuse and had marks of being whipped, but the author didn’t give detail description of this abuse. There were a few typos, however they did not take away from the story. The author demonstrates an ability to craft an intriguing plot that pulled me anxiously through the story. 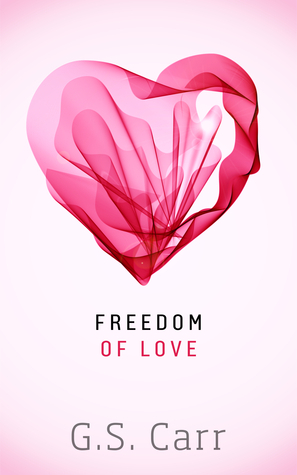 I highly recommend Freedom of Love. Alex and Soleil have a love story that will inspire and live on well after the book ends.